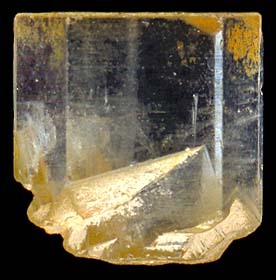 Topaz is an aluminum fluorosilicate. It is hard but can develop fractures, so try not to drop them or step on them, OK? Normal colors are various shades of pale yellow, but there are other possibilities, including light blue if you irradiate it.